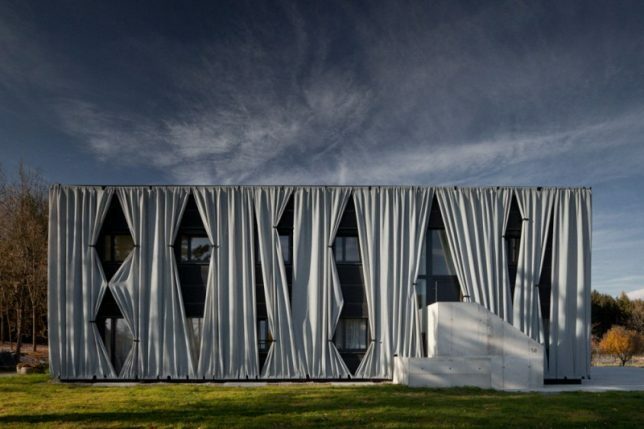 Stretched or hung around the skeletons of buildings, these membranes made of plastic, fabric and metal mesh act like architectural clothing, diffusing light and obscuring the original forms. 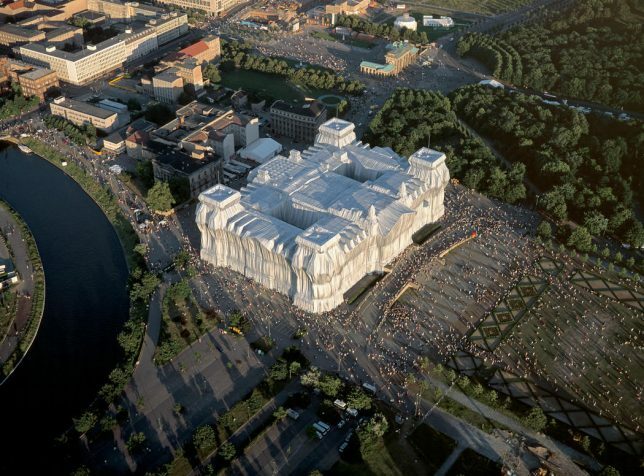 From Christo and Jeanne Claude’s iconic Wrapped Reichstag to homes enveloped in translucent ETFE, these veiled structures have an air of mystery, their second skin often made of unexpected materials like plastic bottles or camouflage-printed textiles. 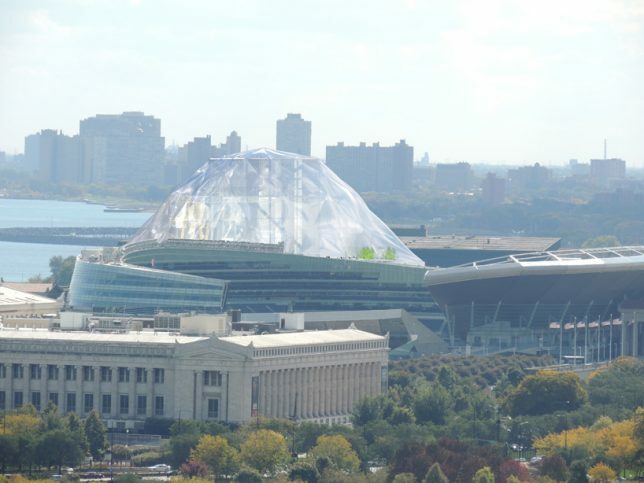 Once it’s finally built, after a long delay that saw its planned building site changing from Chicago to California, the Lucas Cultural Arts Museum (LCAM) could be veiled in a dome-like transparent membrane made of ETFE plastic. 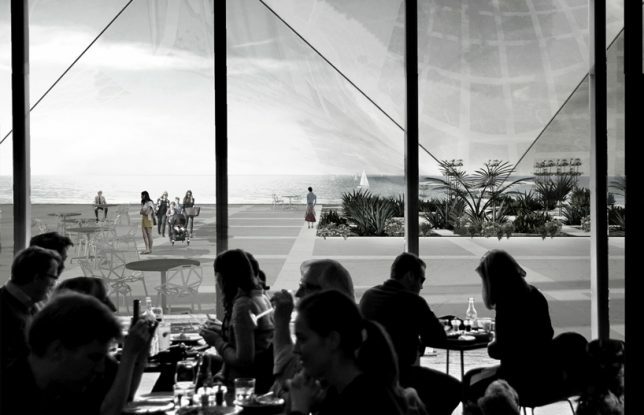 Designed by OMA, this second layer creates a sheltered, freely accessible sky park, and can also function as a giant movie screen. 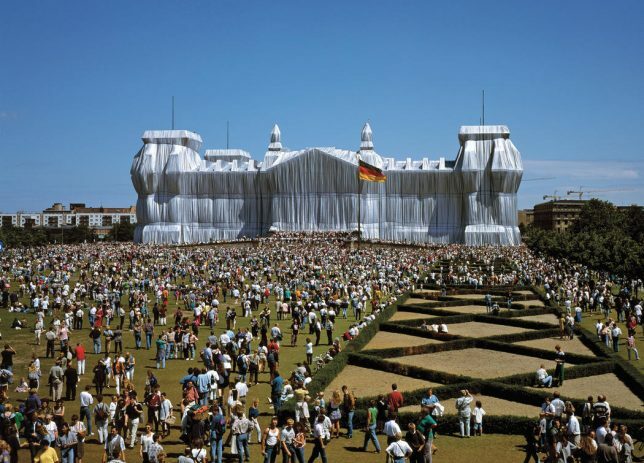 Virtually any structure with a membrane of some sort wrapped around it evokes the iconic work of artistic duo Christo and Jeanne Claude, particularly ‘Wrapped Reichstag.’ In 1995, the artists completely covered the entire Kunstmuseum Bonn with more than a million square feet of aluminum-colored fabric as a symbol for the new Germany after the fall of the Berlin Wall. 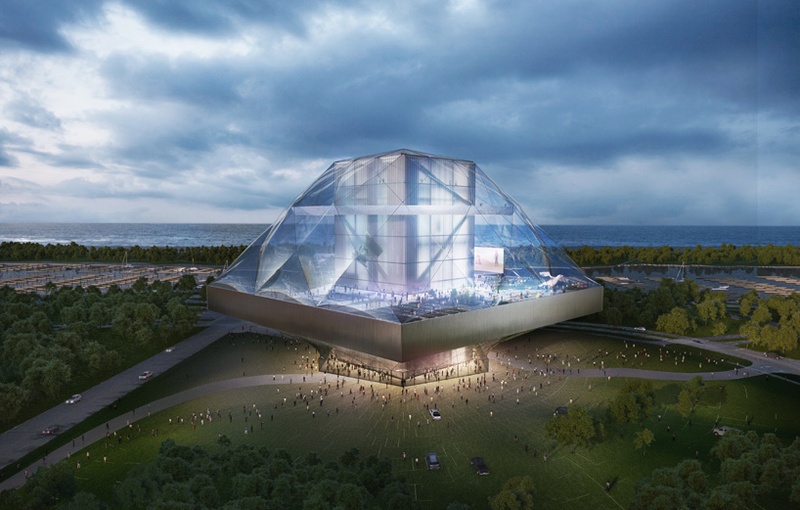 The project cost $15 million USD and remained in place for two weeks. 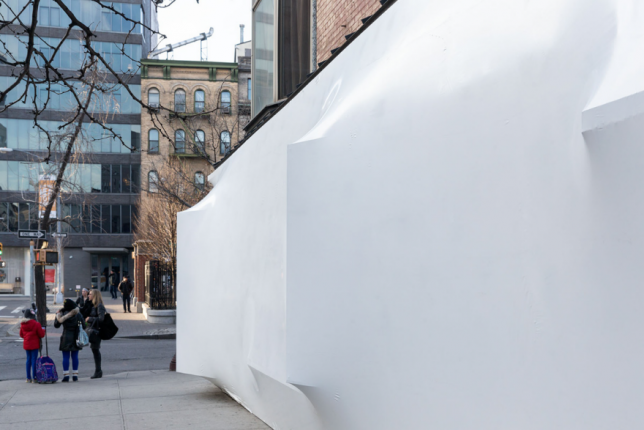 Brooklyn-based studio SO-IL literally shrink-wrapped the famous Storefront for Art and Architecture’s facade in white plastic, creating a mysterious series of bulges and a single entryway. 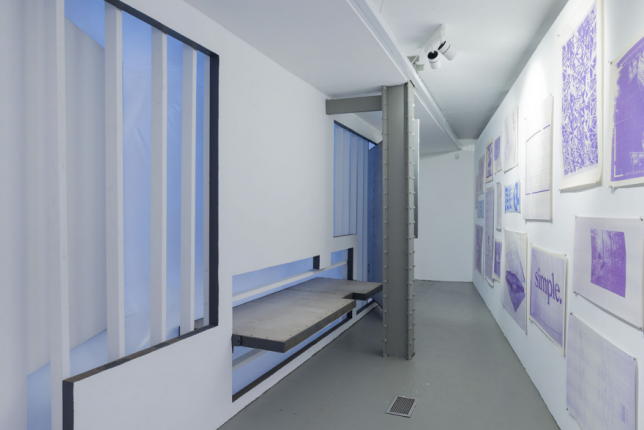 Taking inspiration from the seasonal storage of boats, SO-IL plays with the concept of artistic preservation. 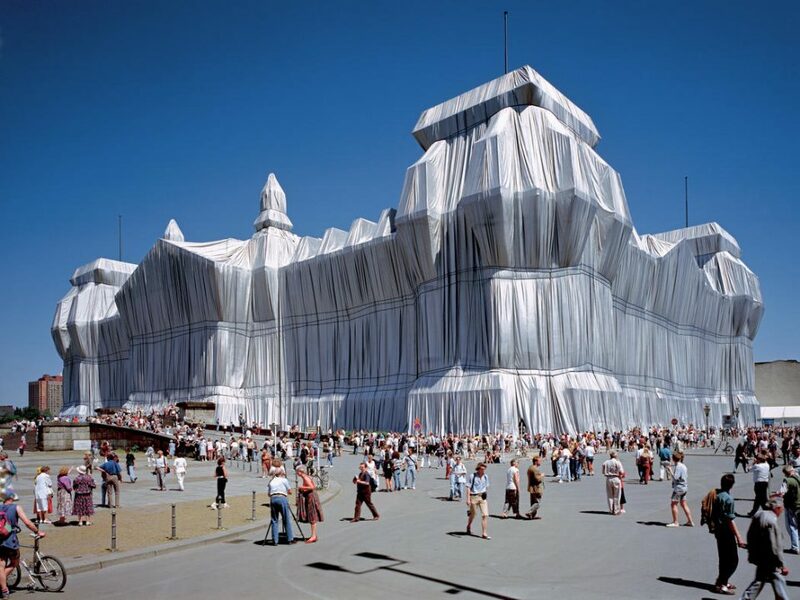 It’s actually not unusual for entire buildings to be shrink-wrapped for various purposes, like sensitive renovations, but the company that helped carry out the project noted that artistic usage of the wrapping method is rare. 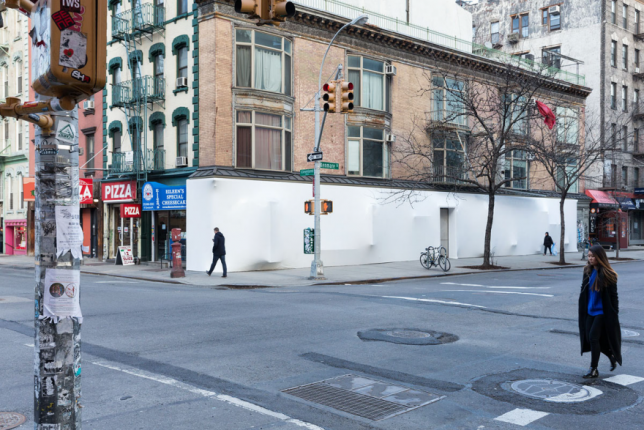 The new facade gave the storefront a snow-white and pristine look that lasted just days as it proved a tempting surface for vandals. 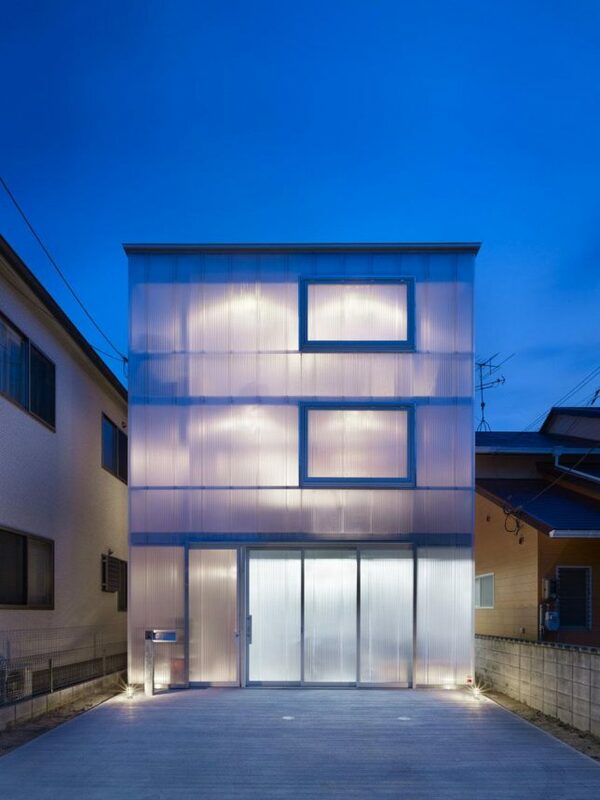 Plastic sheets wrapped around the exterior of a three-story steel home in Hiroshima filter light and create a lantern-like effect at night when illuminated from within. 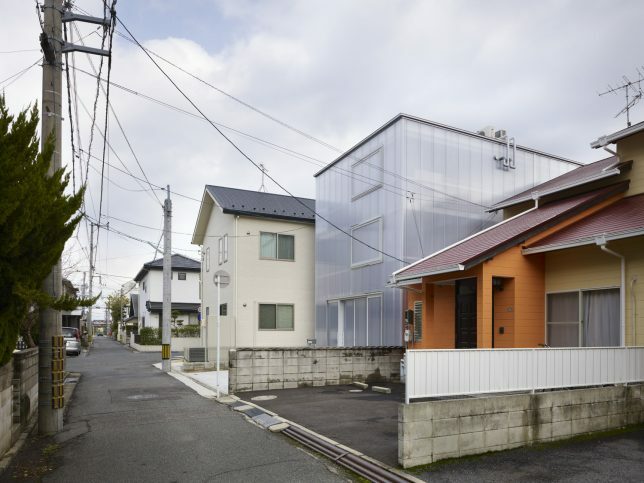 This translucent envelope enables a light-filled home on the inside, which was no small task for architecture firm Suppose Design Office as the narrow property is boxed in on three sides. 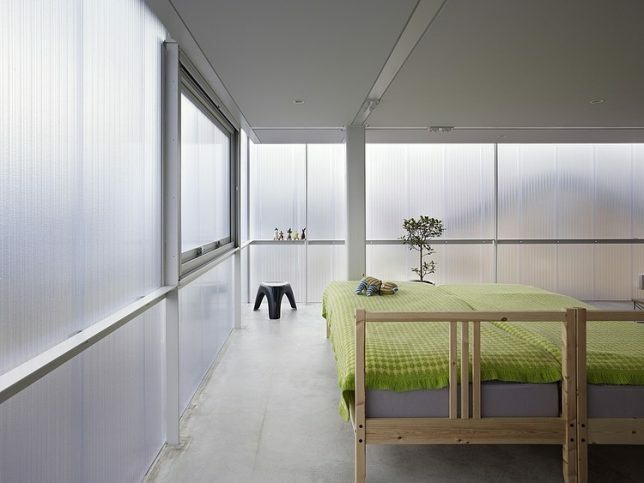 Reed shades are hung in the upper stories during the summer to keep them from overheating. 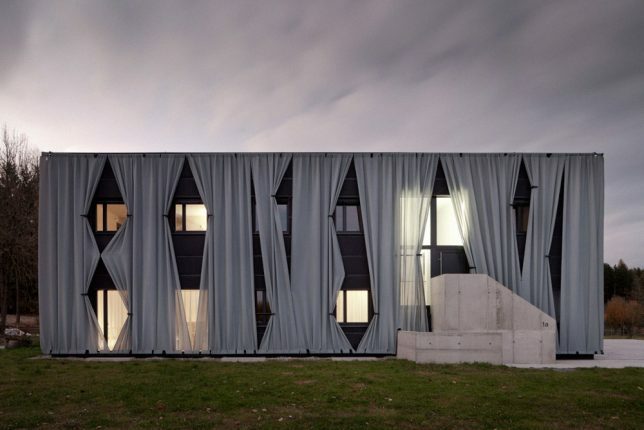 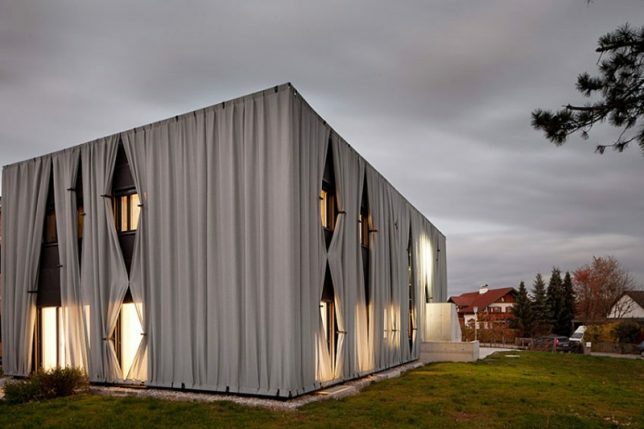 In a reversal of the usual curtained windows, Herzl Arkitekten of Austria covered an entire two-story building in oversized outdoor draperies, veiling the outside of the duplex from view. 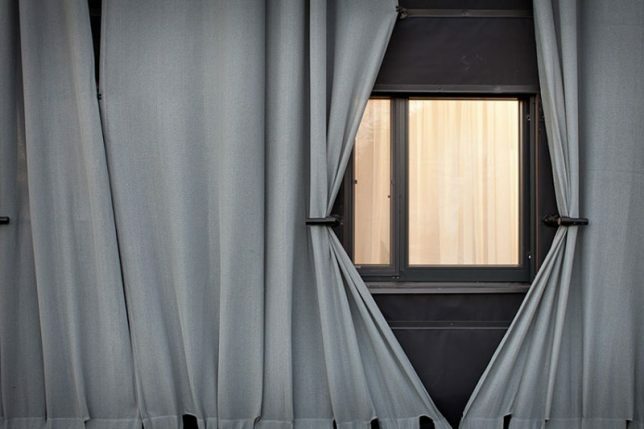 Pegs hold the curtains open around windows and doors.